Camden County is known for many things—its proximity to major highways and Philadelphia, access to public transportation such as the PATCO Speedline, an impressive park system and outstanding school systems to name a few. It should also be known for its exponential business growth. 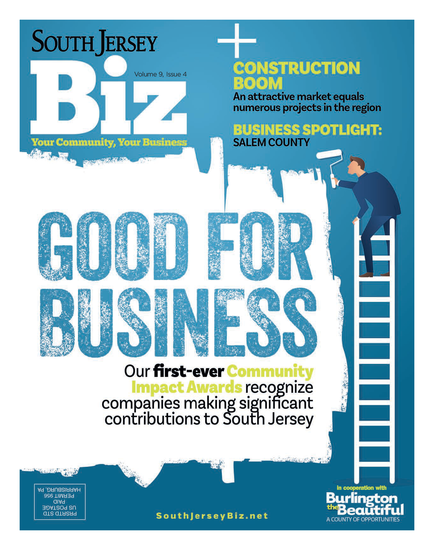 More businesses are moving to Camden County, new properties are being developed and several others are being redeveloped and/or undergoing major renovations. It’s happening all over the county in many sectors, from health care and commercial properties to residential housing and even retail. The result? More jobs created and more residents eager to support these new businesses and services, which means a strong economy. A mile and a half away on Chapel Avenue, Jefferson Cherry Hill Hospital is in the middle of Phase 2 of a $165 million renovation, set for completion in summer 2020. Phase 1 included a parking garage and a brand-new, 102,000-square-foot Outpatient Pavilion, which added more ambulatory services such as advanced ENT, expanded orthopedics, neurosciences, advanced GI services and outpatient services. That includes American Water, which recently moved its headquarters to Camden as part of a $1 billion makeover of the city’s waterfront. 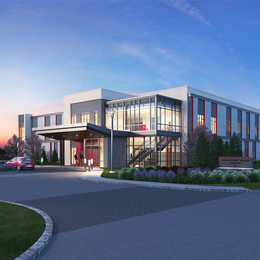 Its previous headquarters was on the other side of the county in Voorhees for over 30 years. Creating strong relationships over the years with county officials helped make the transition go seamlessly and both have worked together to support the business and the community. “It’s sufficient and universal for somebody in need of affordable housing, but 100 percent barrier-free so it attracts people with physical disabilities,” says Tracee Battis, director of development for Project Freedom. Battis says New Jersey lacks affordable housing, especially in South Jersey and even more so for those who have disabilities. Between filling this need in Camden County and having it in an ideal location near the Gibbsboro Senior Center, she and Cappelli say it’s a win-win for residents and the county alike. Also in Pennsauken is the Camden County Boathouse, situated on Cooper River. It provides entertainment on the river during the regattas held every year and inside the boathouse as a wedding venue, which recently underwent a major renovation. What it also provides, and it may surprise you, is a huge economic boost to the county. Nash says the regattas are an economic powerhouse, bringing in millions of dollars each year.